Xavier Frei wanted to get down to business. A Zurich-born manager with 10 years’ experience working in Germany and Switzerland, Xavier had just landed a few days ago in Monterrey, Mexico, at a small pharmaceutical company that was recently purchased by Xavier’s company, a major European pharmaceutical firm. Xavier’s new role, at least for the next year, was to lead a product development team in Monterrey. Excited about the new role and anxious to get quick results to impress his own manager, Xavier wanted to hit the ground running. He arranged a meeting of his team and set out responsibilities. He detailed very clearly the tasks people were expected to perform, as well as the dates that certain deliverables were due by. Xavier also explained to the team the urgency that his company felt from European competition and how their work pace would probably be quicker than it had ever been before in that particular company. Xavier did everything he could to create efficient, optimal working conditions, but for some reason it did not seem to be working. Although no one complained, it didn’t seem like his team respected or trusted him. Xavier noticed how people in the office would be so friendly and convivial with each other, but when they saw him approaching, they would scatter. Xavier had been such an effective engineer in Europe, but there clearly was something different here. How could he turn things around? A key mistake Xavier made was in taking an overly “businesslike” approach with his Mexican colleagues. In Mexico, relationships matter. It is critical for a boss to show that he knows and cares about his subordinates’ personal lives and families. Business is, of course, also important in Mexico, but the way a boss motivates workers is not completely “businesslike.” A smart manager must integrate the technical and the personal in order to motivate his team. Global leaders can often struggle when trying to strike the right balance between building relationships and getting down to business. This process is generally easier in one’s native culture, because most people intuitively recognize the relative balance that each of these qualities typically has in the cultural cocktail of an individual country. In Mexico, it’s critical to develop a great deal of time and effort toward getting to know each other and building relationships before focusing on work, whereas in Germany, it’s perfectly acceptable to cut to the chase far sooner to get down to business. But what happens when working across cultures, especially when you are managing a team of people from mixed cultural backgrounds? How do you strike a balance between socializing and executing? The first tip as a leader is to recognize and read your context. Are you working in a relationship-oriented culture? A task-oriented one? Or a combination of both? As the original example illustrates, national culture clearly plays an important role in this regard. Mexico is an example of a relationship-oriented culture. So too is China, where building deep, personal relationships is a precursor for developing trust and legitimacy. However, one mistake people often make when crossing cultures is to assume that national culture is the only dimension of culture to consider. It’s equally important to recognize the culture of the region you’re operating in, as well as the industry and the company itself. Even in China and Mexico, for example, there are some companies with very different organizational cultures than the country norm. Understanding these nuances is critical as a leader or manager for calibrating your own optimal balance of relationship-building and task-orientation. Additionally, just as understanding the culture is critical for achieving this optimal balance, so too is reading the backgrounds of the individual people that you are engaging with. In the case of Xavier Frei, his employees were locals of the particular region he was operating in. In this case, he needed to adapt a “when in Rome” type of strategy and adapt to that particular context. 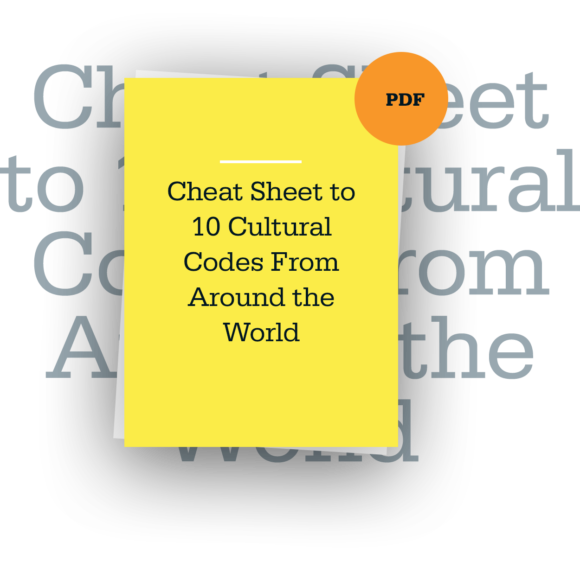 But what if your employees happen to be atypical for the national cultural context? Or you have a mix of employees from various countries with a varied set of backgrounds? In this case, you have more leeway to develop your own set of expectations for balancing and integrating relationship-building and task-orientation. Of course, you will still need to pay heed to the culture of your particular company — which often has an unspoken, but fairly clear answer to the question of how to blend norming and performing. Finally, as a leader, you do have the power to create a culture within your team, so do so thoughtfully and purposefully. What is the right blend or mix or fusion between task and relationship building that works for you and your team in the particular context you’re in? How might this change over time as your team progresses through various stages of its work? There is no single answer to these questions or recipe that works in all situations, but by asking these critical questions, you will be on your own way toward creating a culture that works for you and your team in your local setting. The other day I spoke with a former colleague, Laura, from graduate school who, following her graduate degree, had her first child. Avoiding situations and tasks that frighten us in many ways is the most natural thing in the world.